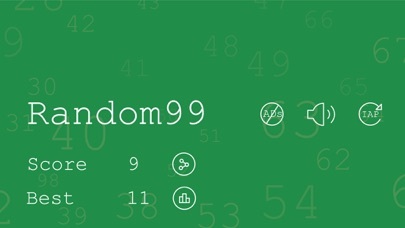 Random99 bills itself as an addicting numbers game and addicting it is. 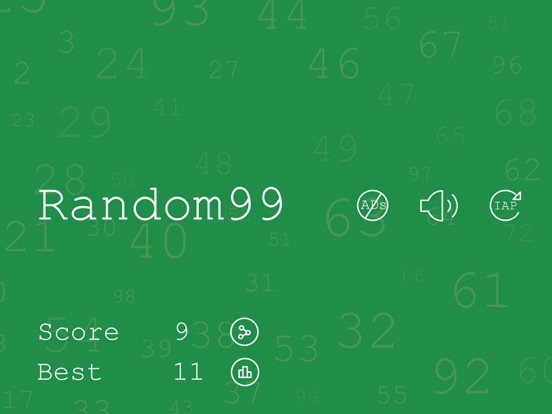 The premise of the game is simple – look for the number provided. However, playing the game proves to be a bit of a challenge. 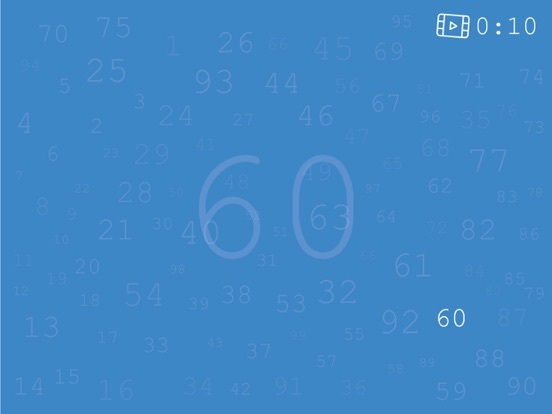 With numbers appearing in different sizes all over the screen, finding the number you need can be tricky. 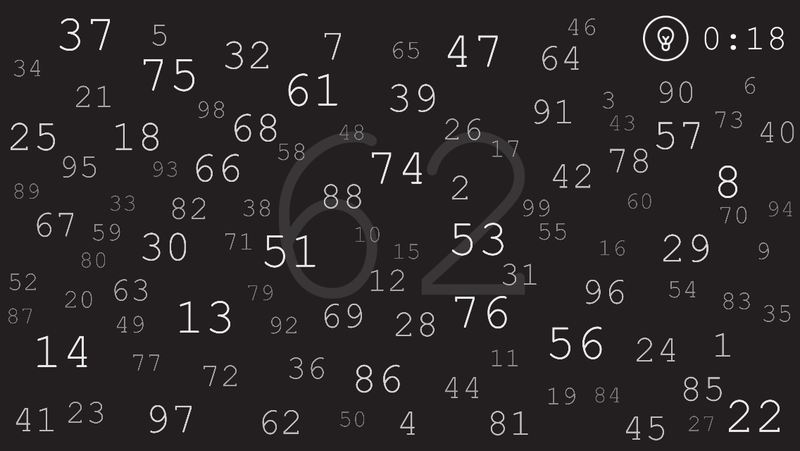 How many numbers can you find before time runs out? On the main screen, players see an no-adds icon, a sound icon, and an in-app purchase icon. Once they’ve played around their best and current score also appears. To start the game, players simply tap on the screen. This isn’t immediately clear, but it’s easy enough to figure out. It’s also not immediately clear what players must do to play the game because it’s easy to miss the faded number in the background. 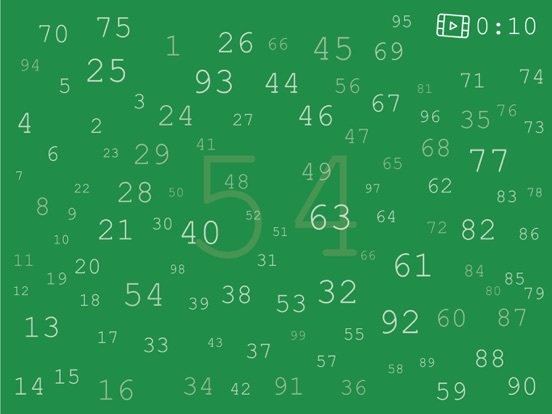 However, once players figure it out, they’ll be ready to start finding the numbers they see. This game is not being rated for education. Although the app is very simple, it is very addicting. 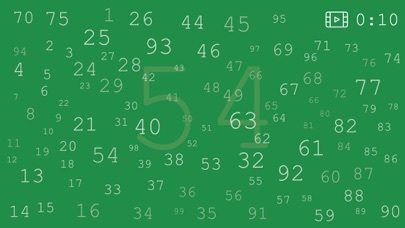 A number appears in the background and players must race against the clock to find that number and as many numbers as they can afterwards before time runs out. Motivating background music plays as the timer counts down. At the end, the final score is displayed. The app tracks a players’ best scores which helps motivate them to keep playing and try to score higher. It’s free to download the app and all of the features are available with a free download. An in-app purchase is available to remove the ads. However, while the ads are unwelcome, they are not extremely prevalent or annoying. This app loses a significant number of points for its lack of child-friendliness. Parents can purchase an ad-free version of the app. 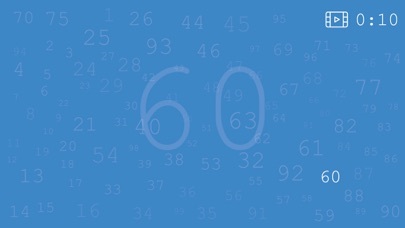 If they don’t, players can watch an add to reveal a number that is difficult to find. Clicking on the app advertised in the ad leads directly to the App Store. After some of the rounds players are invited to rate the app. This also is not protected by a parental block.